The Old Howard is a small crossbody bag perfect for daily need. 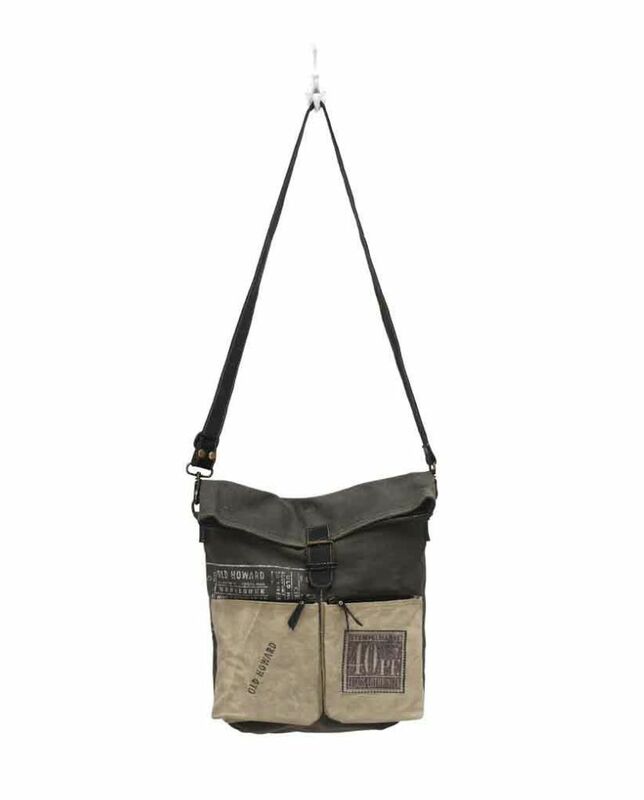 It features a two zippered pocket with an antique up-cycled buckle. It also features a flat detachable strap and a spacious zippered-pocket in back. 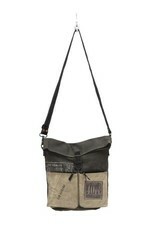 It has a combination of old military tent, canvas and leather.